We are happy to announce our new website for purchasing tape drive equipment. 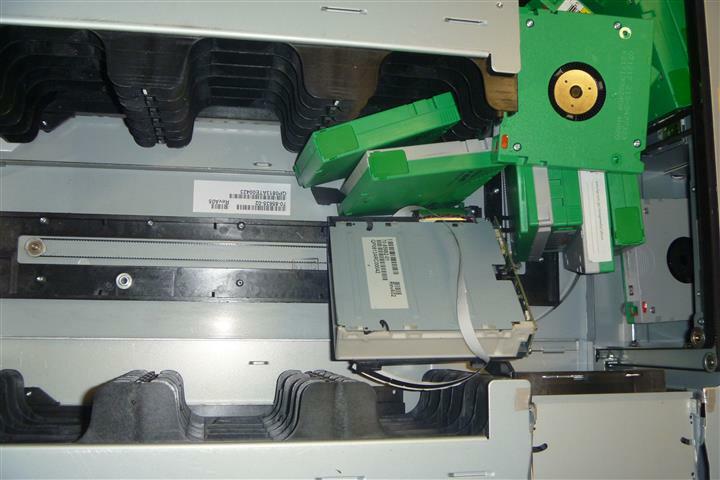 While this website is dedicated to tape drive repair, our new website is tailored towards purchasing tape drives, autoloaders and libraries directly from us on the website. This entry was posted in Uncategorized on November 5, 2014 by blogadmin96. 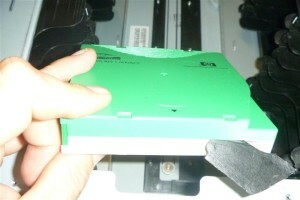 Here is a video we did demonstrating how to manually remove a stuck tape from an IBM LTO1 tape drive. Sometimes the tape gets stuck and other times you have to manually remove a tape from a tape drive if the power supply goes out on the unit. 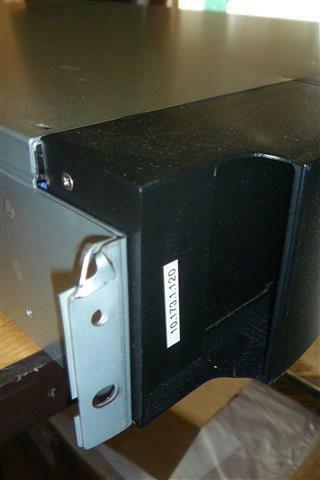 This entry was posted in Uncategorized and tagged IBM LTO tape drive, manually remove tape from tape drive on August 12, 2014 by blogadmin96. Here is a video we did for a customer of ours demonstrating removal and installation of an IBM LTO3 Full-Height tape drive into a DELL Powervault 114T rack. This entry was posted in Uncategorized on August 7, 2014 by blogadmin96. 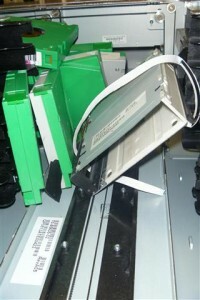 Most tape libraries, such as the Dell Powervault TL2000 and TL4000 have a slot on the top to insert their lockdown mechanism when transporting the unit. This is important so that the picker doesn’t move around and get damaged when moving the unit. This is especially import when shipping the unit. There is usually a little bracket in the back which houses the clip when your not using it. If yours is missing then you can make the one shown here from a paperclip. 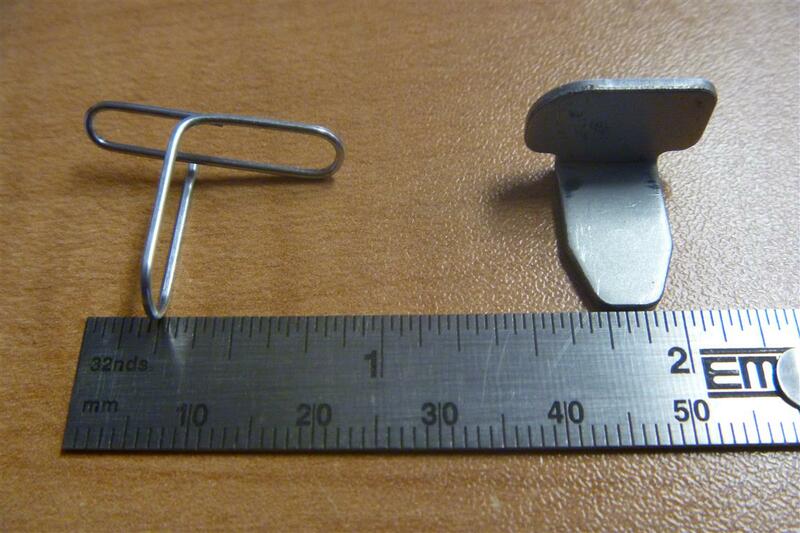 All that you need to do is fold the part of the paperclip where the double loops are down 90 degrees. You then have to place a strip of tape on top of it to secure it down. 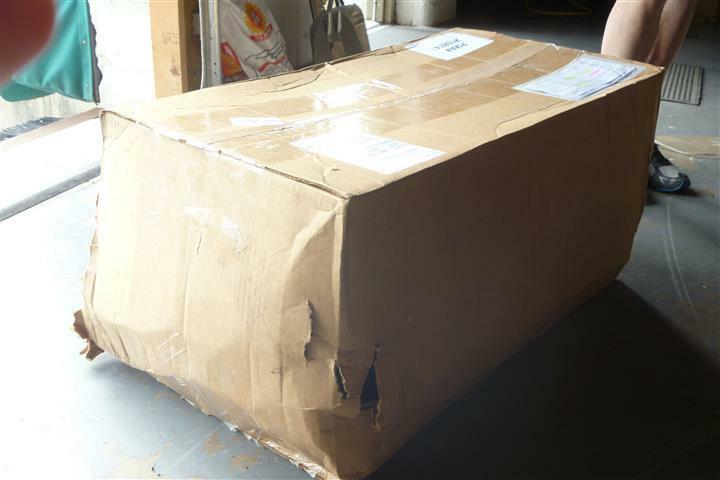 Also, if you are shipping a tape library like the Dell Powervault TL2000 TL4000 or the IBM TS3100 or TS3200, make sure you pack it properly. Use a double walled box with re-enforced corners and fill the open spaces (at least 4″ on all sides with bubblewrap. DO NOT USE PEANUTS. Packing peanuts will move around and pieces may get stuck inside your unit and do some damage. This entry was posted in Uncategorized on August 5, 2014 by blogadmin96. This entry was posted in Uncategorized on July 22, 2014 by blogadmin96. There may come a time when you have the need for something that the market does not provide. 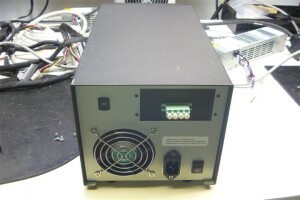 We have a lot of experience making custom tape drive rackmounts as well as custom external tape drive units. 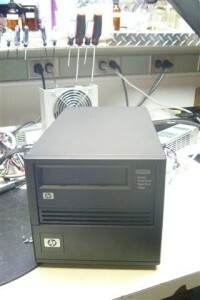 Recently we built and configured an HP LTO3 FC External tape drive. 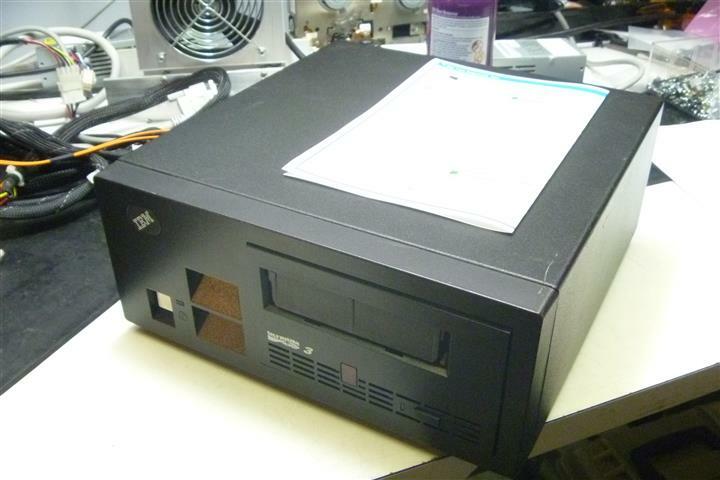 We also built an IBM LTO3 FC External tape drive unit. 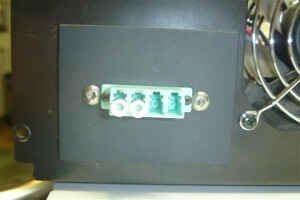 We replace a native SCSI connector on the external enclosure with our own custom made FC connector plate. We have the plates made with a CNC machine. This entry was posted in Uncategorized and tagged custom configuration, hp fc, ibm fc external tape drive on June 13, 2014 by blogadmin96. We have offered testing services to many of our customers over the past year and now we are offering these services to eBay sellers. We have many custom designed services from testing, testing and cleaning, and repairs. Some repairs we can do on a yield basis for example you have 4 LTO4 tape drives, we find some with bad boards and some with bad heads. We use your parts to take 4 drives that may not work and make 2 good working ones. The yield price is much cheaper that an outright repair. We always wondered why eBay resellers would not take advantage of these kinds of services. Possibly lack of trust or wanting a quick flip of money or not having the technical knowledge on how to test tape drives. We have been in the tape drive repair business for over 25 years and are a Power Seller on eBay with a 100% feedback rating. We do not sell items that have not been fully tested. Our eBay consultant did a market analysis to determine “Selling Prices, not Asking Prices” for select products that were advertised as is, unable to test and pulled from working environment. We compared those same sold listings for sold guaranteed working. HOW MUCH MONEY ARE YOU LEAVING ON THE EBAY SALE TABLE? Why not take advantage of our testing services for increased profit? 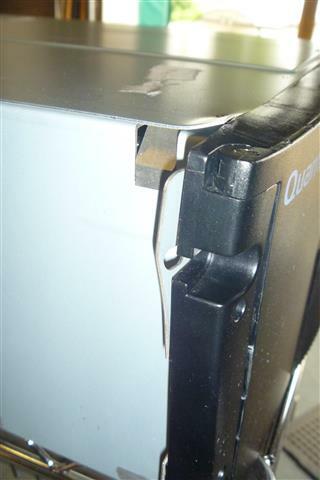 You may want to reconsider your “Quick Flip Selling Procedures”, we can provide testing services starting as low as $30.00 per tape drive which includes cleaning, testing and tamper proof warranty sticker applied. A new anti-static bag and a hard copy of testing results. Please contact us for further details. We supply many of the R-2 required recyclers this type of service. Under R-2 guidelines recyclers cannot sell anything that is not fully tested. This entry was posted in Uncategorized and tagged ebay hints, get the most for your ebay items, tape drive testing, tape drives on February 4, 2014 by blogadmin96. We just want to point something out to those that do not know what it means when you list tape drives, autoloaders or libraries on eBay. We are referring to the CONDITION that the items are listed as. Some sellers list items in USED condition. But then in the description, they state that the item is being sold “AS-IS, NO RETURNS, NO REFUNDS” What they don’t realize is that by listing the condition as USED, eBay automatically fills in the description of the condition depending on what you choose. Pay attention to the part that I highlighted. FULLY OPERATIONAL and FUNCTIONS AS INTENDED. Where this becomes a big problem is when they indicate RETURNS NOT ACCEPTED. Well, eBay also covers items NOT listed as: FOR PARTS OR NOT WORKING with what used to be called “Buyer Protection”. They now call this “Money Back Guarantee”. You get the item you ordered, or you get your money back. Including purchase price and shipping costs that you paid. We guarantee that you will get the item you ordered or get your money back. We have a simple three-step eBay Buyer Protection process to assist you in case something goes wrong with a transaction. You can go to the Resolution Center and contact the seller. Most sellers will quickly help you, but if you are not happy after a few days you can easily refer the case to eBay. If you haven’t received your item, or the item is not as described, we’ll refund your purchase price plus original shipping on virtually all items. To clarify all of this mumbo-jumbo, here is a scenario. 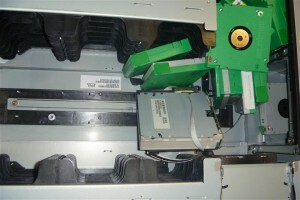 As a seller, you buy some used tape drives from a recycler, government auction or other places. You don’t have the means to test the equipment to make sure they work as intended. You decide you can get more money for the items if you list them as USED instead of NOT WORKING-PARTS ONLY. You also try to cover your bases and elect to not accept returns and include in your description that you are selling the item AS-IS, pulled from working environment, untested, all sales final and no returns. This sounds good so far because you’ll get more money for your items by listing them as USED and if they don’t work, you don’t have to worry about issuing anyone refunds. Caveat Emptor! The saying goes. However, perhaps the saying should be “Let the seller beware”. Because, if the item you sold does not work, the buyer can get a full refund. Purchase price AND original shipping costs. eBay’s Money Back Guarantee affords the seller the option to file an “Item not as described” claim. Since you listed it as USED, you automatically claim that the item functions as intended. Most of the time, the buyer has to return the item to you and when you receive the item, you must issue the full refund. Although, I have seen cases where the item was never returned and the seller doesn’t not agree to issue a refund and eBay decides that the buyer is entitled to a refund so eBay takes the money out of your PayPal account and refunds the buyer. 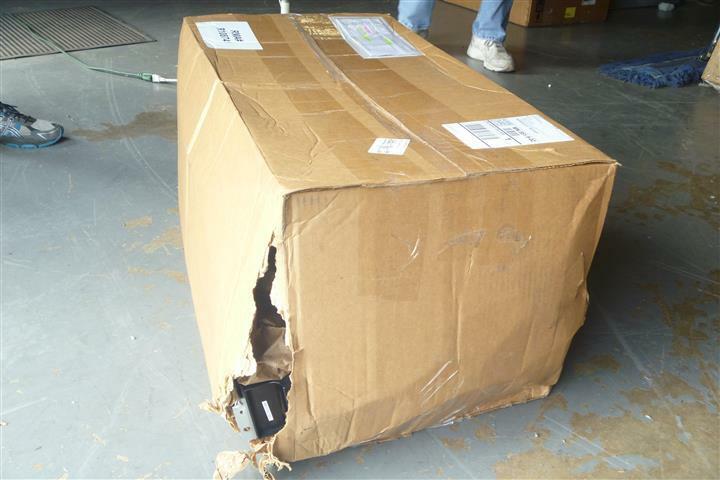 Where this could be a real expensive lesson is if you offered expedited shipping. Here is how this might play out. A buyer purchases a tape drive from you for $400.00 and they pay $150.00 for next-day shipping. You ship out the item, paying the $150.00 for next-day shipping to UPS, for example. The item does not work, as described. You will have to refund the buyer the $550.00 they paid. You are out the $150.00 that you paid UPS for the next-day service. Any time you sell anything under any of eBay’s conditions OTHER THAN “For Parts Or Not Working” and the item does not work, you will be out the shipping costs you paid to ship the item to your customer. 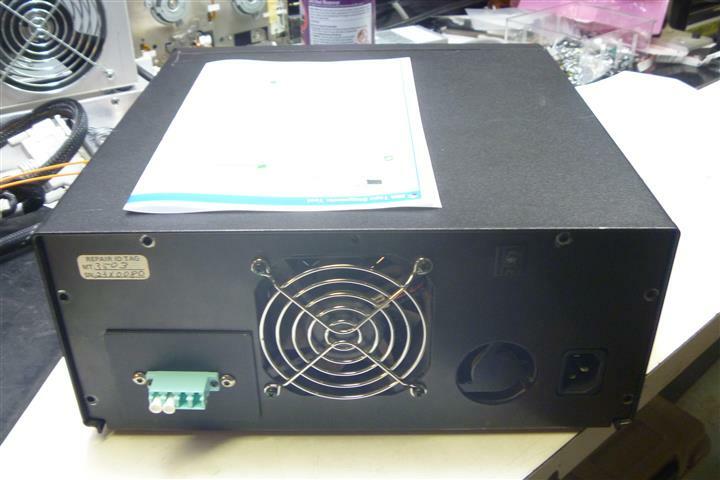 This entry was posted in Uncategorized and tagged ebay selling tips, selling online, tape drive on January 31, 2014 by blogadmin96. Here is an interesting video which explains the advantages and disadvantages to backing up to hard disk drive or a tape drive. 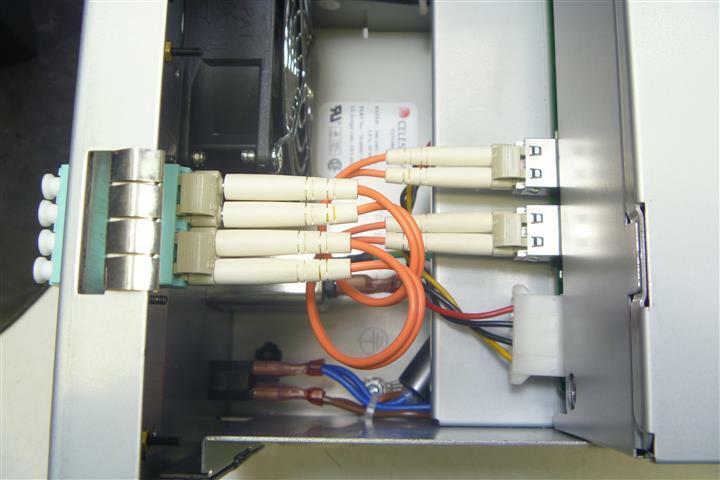 This entry was posted in Uncategorized and tagged back up to tape drive, storage, tape drive advantages, tape drive repair on January 24, 2014 by blogadmin96. Please package your tape drive equipment well! 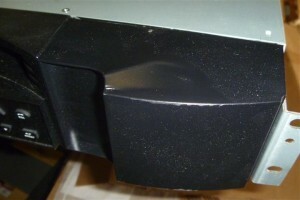 Recently we have had quite a few repairs come in to us and the packing job was not up to snuff. We are posting some pictures of the damage that autoloaders and libraries suffer when not packaged well. Not enough packing material enclosed. Corner of library got damaged do to the library not being protected well. There was no bubble wrap inside the library to prevent the picker from being tossed around during shipment. Also none of the tapes were removed from the magazine. One of the tapes were thrown across from the right magazine slot to the left magazine slot. This resulted in a piece of the left magazine breaking off and sticking into one of the tapes. Package as it was the moment it arrived on our dock. This is not much packaging around a tape autoloader. There was absolutely no packing material on the bottom of the unit. This is how it looked right after we opened the top of the box. Corner of the unit got munched up. 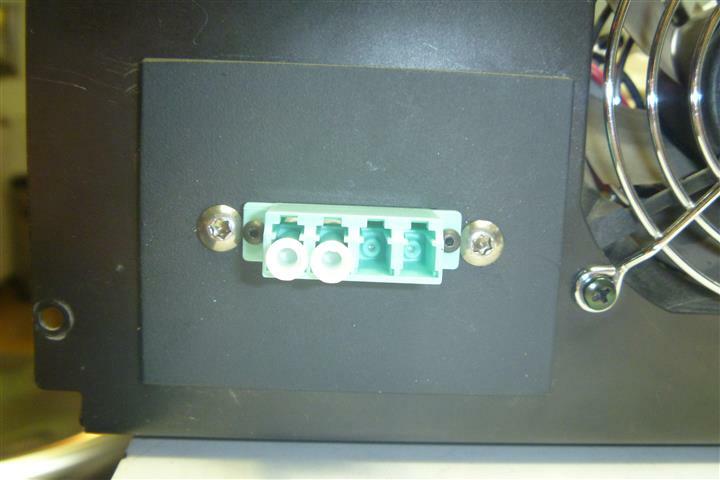 We suggest the following when sending in your tape drive equipment for repair. 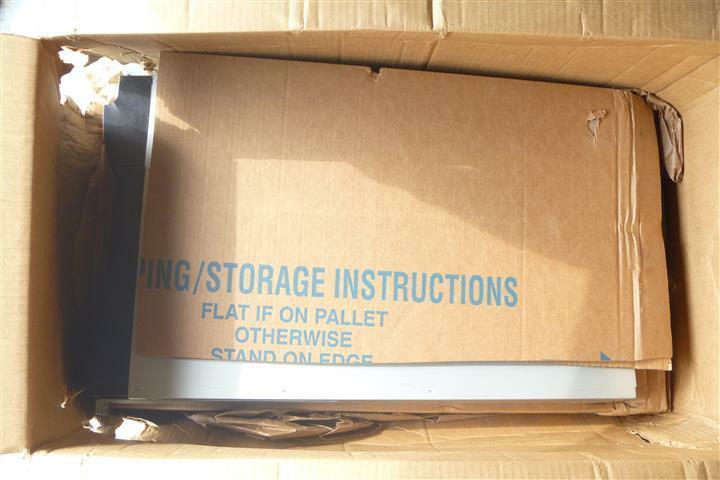 Allow 3-4″ surrounding the unit and pack with foam. Insure shipment for the purchase price of the entire unit. NO peanuts should be used. Peanuts move around and will not provide unified protection. Use of a double-walled box in good condition is preferred. 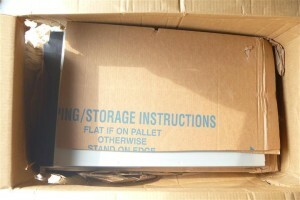 If double-walled box not available, reinforce your box and use a box in good structural shape. This entry was posted in Uncategorized on August 6, 2013 by blogadmin96.